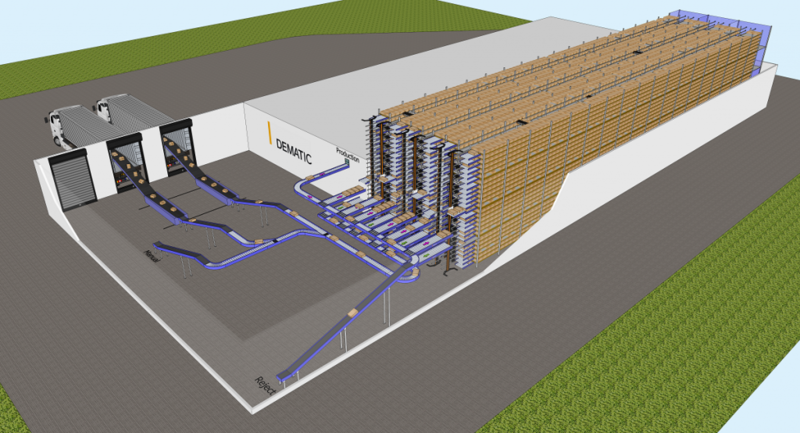 Dematic, the global provider of intelligent warehouse logistics and materials handling solutions, has launched a new Meat Buffer storage and handling solution for Australia’s meat processing industry. The company’s Meat Buffer is a high performance, accurate, safe and cost-effective automated order fulfilment and despatch processing solution that substantially reduces the potential for error and product damage compared to traditional meat shipping processes which involve manual handling. The Meat Buffer solution is based on Dematic’s highly successful Multishuttle Automated Storage and Retrieval System and is capable of picking multiple SKUs concurrently within a single aisle, increasing system throughput and improving access to stock required for orders. “Australia is the world’s largest exporter of red meat and livestock. In 2014 the country produced a record figure of more than 2.5 million cwt of beef and exported to more than 100 countries. While many Australian meat processors have invested in automating the processing of meat, a high number of distribution and despatch processes remain highly labour-intensive and inefficient,” said David Rubie, Dematic’s Manager of Food & Beverage. The Meat Buffer solution utilises Dematic’s iQ performance optimising software to provide full track and trace capabilities for every single carton of every individual SKU. It eliminates a large number of potential occupational health and safety hazards associated with the manual handling of heavy cartons weighing up to 27kg, and errors associated with incorrect picking. “The Meat Buffer solution can be designed to fit within virtually any space and can be easily scaled up with the addition of extra aisles or by increasing the height or length of the system. This provides future flexibility and reducing initial investment, and building/leasing costs,” it says in the press release by Dematic. Dematic is a global supplier of logistics systems for the factory, warehouse and distribution centre with a global knowledge network of more than 4,000 skilled logistics professionals in manufacturing plants in North America, Europe, and Asia Pacific. The company’s successful track record has led to the development and implementation of more than 5,000 integrated systems for a customer base that includes small, medium, and large companies doing business in a variety of market sectors.